You would drink Cheers POS if you could. It’s that good! Cancel Anytime. No contracts. No bull. We want you to take Cheers POS for a test drive. You’ll be amazed at all the features and savings it will generate for your liquor store. Don’t wait. Sign up now and a Cheers POS Specialist will call you and provide you a full liquor store consultation. Stop loosing money – complete the form to get started. SALE PROMOTION – Get 2 FREE months of service when you sign up. Ends Today! I’m so excited about our new point of sale system. It’s been easy to learn and use. They came into our store and setup the entire inventory by hand, scanned every case and bottle. They made sure to train us hands on. 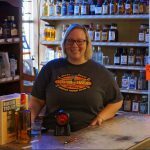 I really like the quick support, how to videos, and the fact that it’s really created for our liquor store and can do everything we need and more. I strongly recommend using Cheers POS to improve your business today.